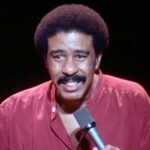 David chats with David Henry about comedy legend Richard Pryor. David, along with his brother Joe, has written a new biography on Pryor entitled Furious Cool: Richard Pryor and the World That Made Him. While most are familiar with Richard Pryor through either his film roles or his stand-up comedy, most are relatively unfamiliar with his upbringing. Born in Peoria, Ill., Richard used the characters he met in his early years to influence his comedic styling throughout his career.